>UPDATE 3/20/2019 – This post from 2012 is getting a ton of traffic lately, so it’s important I disclose that I DO NOT RECOMMEND BAKING SODA & VINEGAR as a haircare routine anymore. if you’re looking for a “cleaner” shampoo, you can choose anything on the “green” scale from Shea Moisture to Josh Rosebrook, to my personal favorite – CALIA! Find me on ig @alexraye_ae if you have any questions! because of all the great questions i’ve been asked (by the way, THANK YOU) by my readers, i’ve decided to do a follow-up post on going no-‘poo. warning, it’s a wordy post, but hopefully i’ll address some concerns 🙂 and i’m gonna be completely honest with you guys. i have no reason not to! ONE. it’s not for everyone. let me explain a little more and i’ll get back to that point… some might need to use a different no-poo method aside from the baking soda/vinegar routine. this can be done with clays or any of these natural ingredients. you can even go water-only! if your hair is damaged, you should go low-poo. this is because for those of you with already dry or damaged hair (i’m lookin at you, blow dryers and dyes), the no-‘poo method can make it seem as though your hair becomes even drier after transitioning. but it’s not the no-‘poo. TWO. it takes time. it takes time. it takes time. and it will not be pretty when you first transition. honestly, it won’t. your roots will look like an oil slick. buuut, IT GETS BETTER. amazingly better. also, you can do all the research you want, but you will have to learn what YOUR hair needs. it WILL be different for everyone and it WILL change the longer you go without store bought products. for example, i started with the baking soda and vinegar routine and my entire transition lasted about 2 weeks. then my hair “normal-ed” out (? ), and thennnn it got dry. and tangly. why? because i hadn’t conditioned like i should have. but it’s a learning process and that’s what i’m trying to help you guys with 🙂 9 months later, i have the best hair of my life. seriously. i’ve never had anyone compliment me on my hair as much as they do now until i went no-‘poo. give it three weeks before you judge it. rack my brain for advice, ask other people, and do your research along the way. then after a couple months, reassess what your hair needs. for me now, i only need the coconut oil every week-ish, but it still changes. 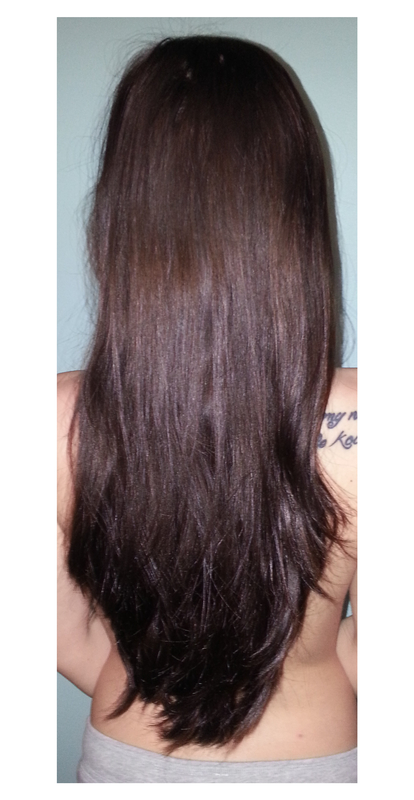 as the months have passed, my hair continually gets healthier, softer and shinier. yours will too! give it time! THREE. you. need. to. deep. condition. your. hair. often. (naturally). no matter if you choose to be no-‘poo or sorta-‘poo, your hair will need a nice drink. depending on what you’ve done to your hair previously, i might be talkin like every time you wash or maybe every few times. when you switch to baking soda and vinegar, the baking soda acts as a clarifier and will strip your hair bare-nakey. yep, i just said that, haha. you NEED to condition it after that. the vinegar rinse will help seal the cuticle after the baking soda, but you still need to condition to put back into your hair what you’ve taken out. the tangly/dry feeling your hair gets after you drop store bought shampoos and conditioners is just your real hair, minus the chemical and wax coating, due to heat, dyes, and other store products you’ve subjected it to. you can do this with coconut oil and argan oil, but if you’re using the baking soda/acv route, the coconut oil will NOT come out of your hair. check out these ways to deep condition your hair that only requires water and a bit of elbow grease to remove. i quickly invested in copious amounts of argan oil (as one reader put it perfectly – sent from the gods!!) and coconut oil so my hair would be moisturized and happy. and boy, is it! again, your hair’s needs will change the longer you’re on the natural route. i’ve found that my hair doesn’t need to be washed or conditioned nearly as much as when i started. here’s a quick conditioner for those of you that are experiencing dry hair: mix 1/3 cup warm, distilled water with 1/2 teaspoon melted organic unrefined coconut oil. you can use this in the shower after you wash; every time if you want. the coconut oil shouldn’t leave your hair greasy because of the small amount and the fact that your hair will already be wet (already have absorbed water). if it does, reduce the amount. FOUR. your success with this will entirely depend on what else you do with your hair. if you’re still blow drying it and, god forbid, attacking it with a curling iron, a straightener, or hair dyes, this method will most likely not be the best experience for your hair. i dropped all “chemicals”, store products and heat. it gave my hair the best chance at being healthier and growing stronger. it seems like a big leap, but if you’re already going no-‘poo, it’s really not. please trust me when i say it’s incredibly worth it. FIVE. please don’t overuse the baking soda and don’t use a baking soda paste. the ph level in baking soda is different from your hair’s and will open the cuticle, causing it to absorb more water than it’s supposed to and WILL lead to it being drier and breaking off. only this time, it’ll break at your scalp instead of the ends. you might not have any problems for awhile, especially if you’re still using other conditioning products, but your hair won’t be happy. (ladies – think of it this way… you know how we’re advised to drink a little cranberry juice every day to help our ph level down there? well what happens when the ph level isn’t quite right? UTI’s, right? your hair needs the correct ph level, too. and i’m sorry i took it there. it just really concerns me when i see people use a baking soda paste). SIX. use a clarifying shampoo before you switch to no-‘poo. your hair NEEDS to be stripped of the silicones in store products. otherwise you’ll get this weird, globby, slick-ish feeling hair when you switch. you NEED to deep condition after! here’s a post to help you get started with your routine and how to clarify your hair. whew, i hope this helps! i really, really do. i personally have had an amazing experience being a no-‘poo-er, but it’s different for everyone. feel free to ask questions and post comments. i LOOOOVE hearing from you guys! QUESTIONS ABOUT THE ROUTINE or DON’T KNOW WHERE TO START? see this post. NEED SOME NO-‘POO HELP? see this post. I’ve been trying no poo since April. I’m using baking soda and vinegar about every two days but would love to give it up. 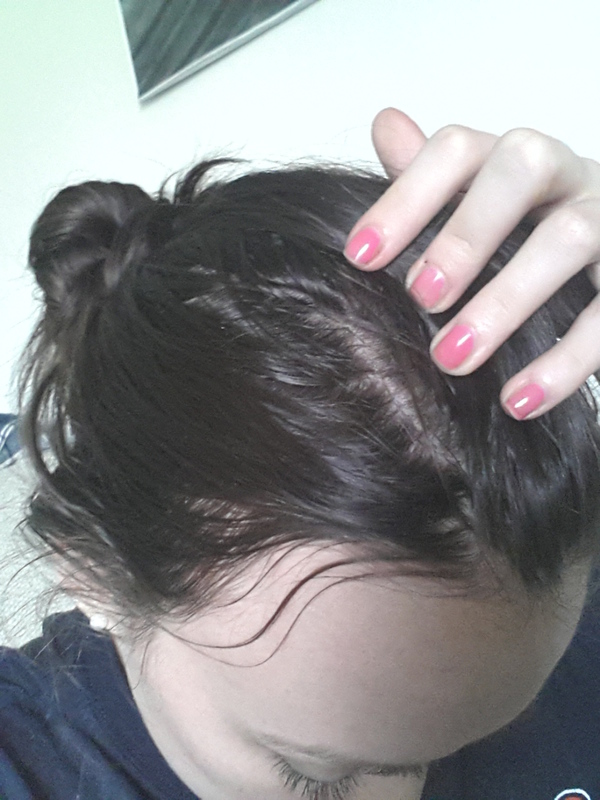 My hair looks so greasy likes it’s soaking wet if I don’t “wash” it every couple of days. Yuck!! The transition isn’t going too good but I can’t really see myself going back to chemical shampoo. Hello! I start no poo 2 months ago with just water, I never saw your post until now. I didn’t use a clarifying shampoo. I’m wondering if that’s some of my issues now, I’m going to try the egg yolk ..my hair at the top like underneath never seems like I can get clean. It’s heavy and greasy like. Thank you!